In the recent updates for Xperia devices, Sony has made some changes with Talkback 7.10 update version, so we are no longer be able to use this method to bypass Google account on Xperia devices. That’s why removing Google account lock is becoming more difficult. 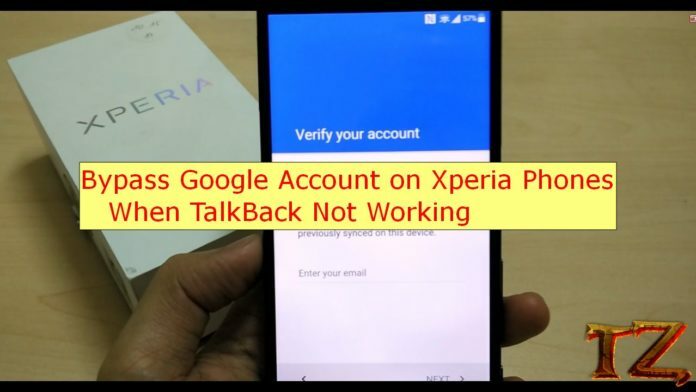 I know you trouble you are dealing with, so this post today we’ll show you a new method to bypass Google Account on Xperia devices when Talkback no longer works. Since TalkBack method does not work anymore, so we’ll need to use another new way. But, before proceeding, I ask you to prepare some things first so that the process can be successful. Prepare another phone and insert your primary SIM card into it. Next, try to establish a PIN code that will be served for removing Google account on your Xperia device. Once done, let’s start removing Google account on your Xperia phone. Now, insert your primary SIM card that has already been set up the code into your phone. Immediately, your phone will restart. Wait for your phone booting up, enter your SIM’s code and you are then on the lock screen. Now, tap on Advanced > Browser app >Opening Links and scroll down to choose YouTube Tap on it to open YouTube’s App Info.